At first glance, CyberLink PowerDVD 9 Ultra is an expensive piece of software, particularly when you consider that most of us will already have an earlier version somewhere on our PC. After all, there are always alternatives such as the free, fantastic and highly versatile VLC. It's ironic then that the biggest reason for buying PowerDVD 9 is avoiding additional expense – specifically on Blu-ray players. If you've already splashed out on fancy remastered versions of your favourite movies, you'll likely be loath to buy the same films again on Blu-ray. Happily, it's this type of highly polished film that TrueTheater HD upscaling laps up, making your remastered movies look passably high-definition. 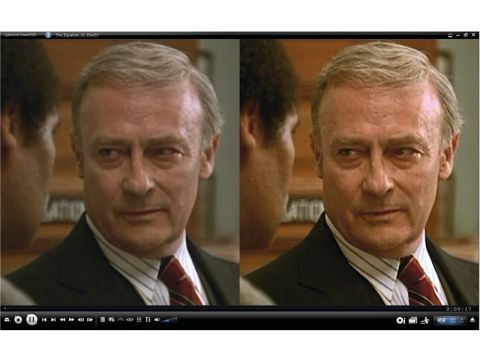 If you've got a good-quality monitor – we tested the software on a 22in LG M2294D LCD monitor – then we would recommend that you buy PowerDVD 9, use it to make your DVD collection look brighter, bolder and better and save the money that you would otherwise have spent on upgrading your hardware.